Alice has been asking to have her hair shorter 'like mummy's' for a while, and today I finally caved. The long locks are gone, and she is delighted she can wear it 'down' to kindy now (instead of pony tail or braids). I can't believe how grown up she looks all of a sudden! 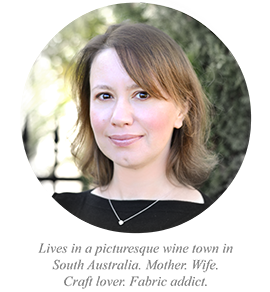 And don't be fooled by these sweet looks - she is a head-strong little minx and a real outdoorsy tomboy, with a very feminine taste in outfits. Despite the cold weather we've been having she spends most of her time in the garden with the chickens, dressed in a tutu and gum boots. 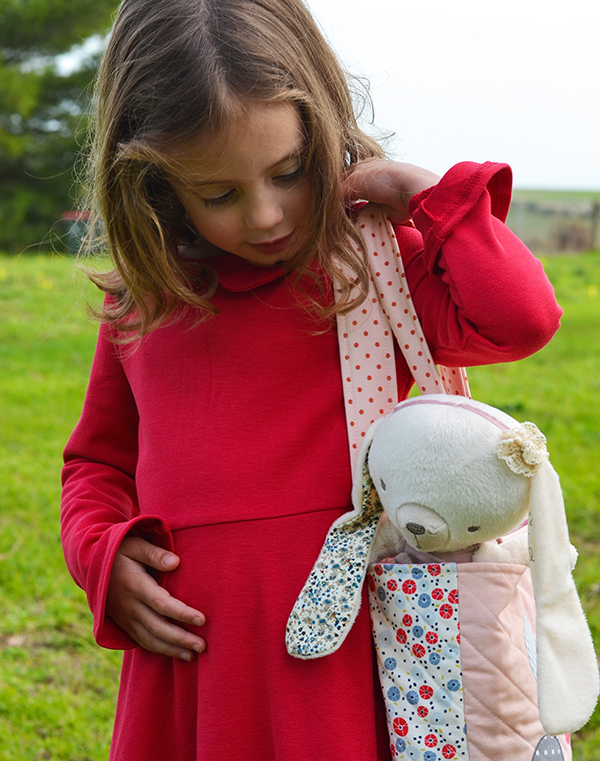 She also has a new bag that I made for her, and a new bunny (not hand-made - it's from Mamas & Papas). So we took the opportunity to take some pics in the garden. 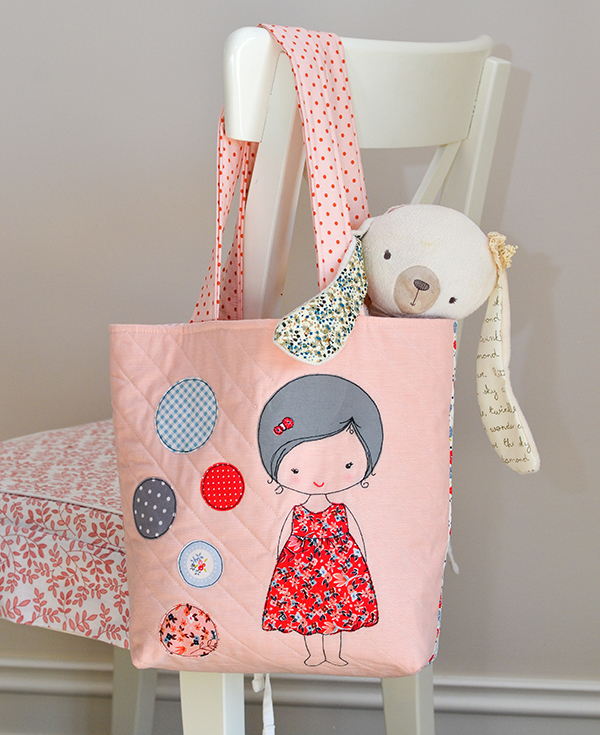 The sweet doll applique on the bag is the Annie Doll pattern by Sweet Calico - you can find it here. It comes with instructions to turn her into a doll - though Alice decided she preferred to have it on a hand-bag instead. It's been an exciting week as I've been planning my new sewing studio, which will be built in the garden! 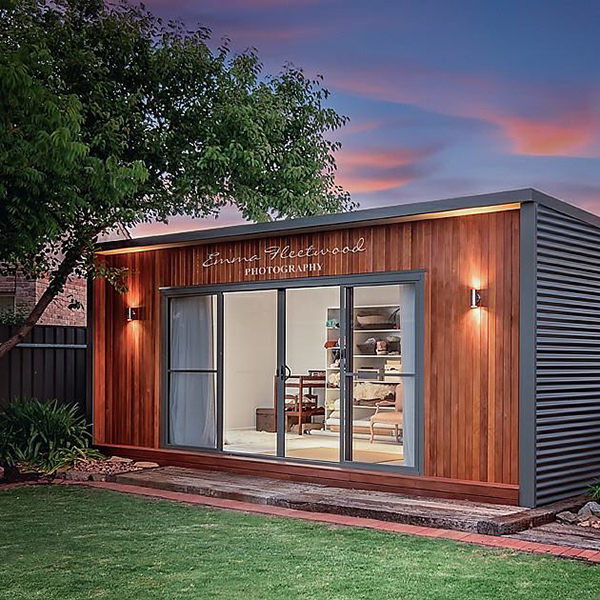 I found a studio design that I love, and luckily it's built by a company only a few km away from us (photo credit: Emma Fleetwood Photography). Having my own bespoke studio is a true dream come true for me, so I am taking my time planning it and trying to future proof it as much as possible. So many decisions to make, but so much fun at the same time too! I also received some of Nadra Ridgeway's new collection, 'Arbor Blossom' for Riley Blake. 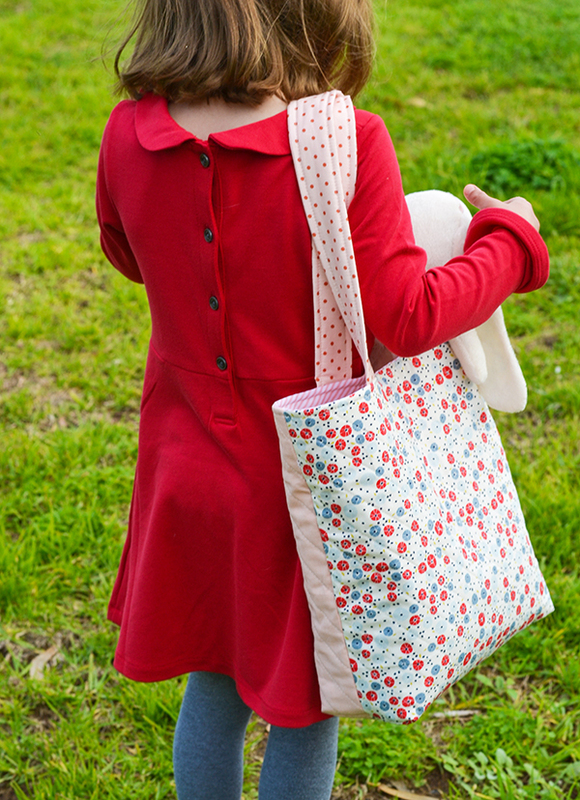 I love all of Nadra's fabrics and I have a fabulous plan for these which I hope to share with you soon. So much pretty fabric to sew with, so few hours in the day! The hair cut is adorable on your daughter, as is the beautiful bag. You did a wonderful job on the applique - love it! Also love the cute bunny peaking out of the bag - so sweet! Your daughter is adorable, Sedef. My girls are grown and ..... having babies. 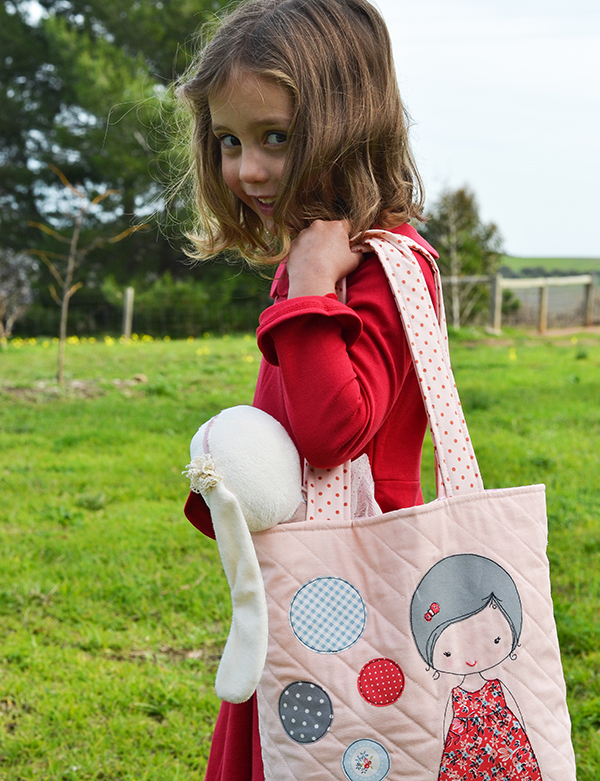 Alice is just so sweet with her wonderful bag and bunny baby. Girls are so fun - well, all kiddos are such a gift. This is your sewing studio? Is it on your property? WOW!! I love it. What an incredible sewing space! and the view must be so soothing. .... it seems my entire house is my sewing studio now that the kids are grown and married. But I do have grandbabies so I have to protect my areas and my babies. 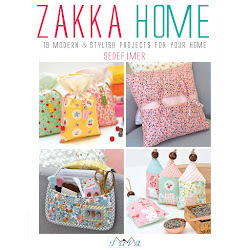 What adorable projects>love each one+the "Model" too>so precious! 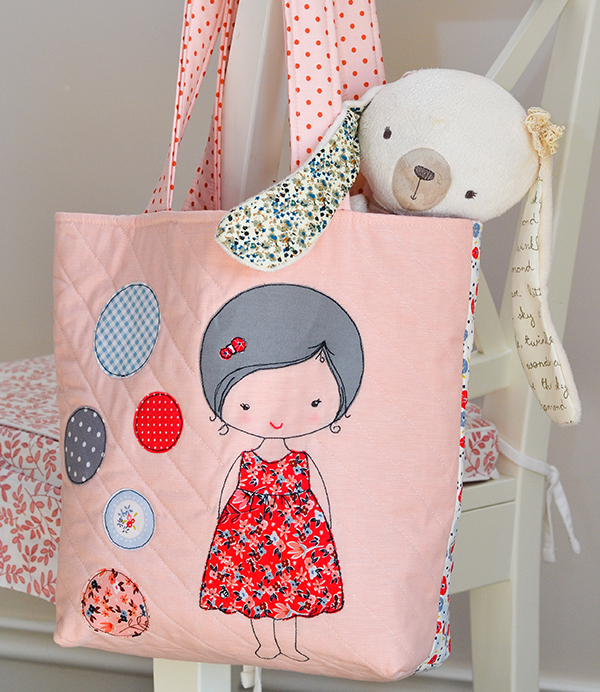 #daisydaysfabric #daisydaysblogtour Thanks for sharing!